At RevingtonTR we are keen for TR owners to be aware what parts are available in the market place. When comparing parts prices, looking at the price alone is not a good comparison. Many parts have dual source supply and quality can be different. At RevingtonTR we always try to offer the best quality part at a cost effective price. Being independent we can offer what we consider to be the best in the market place. 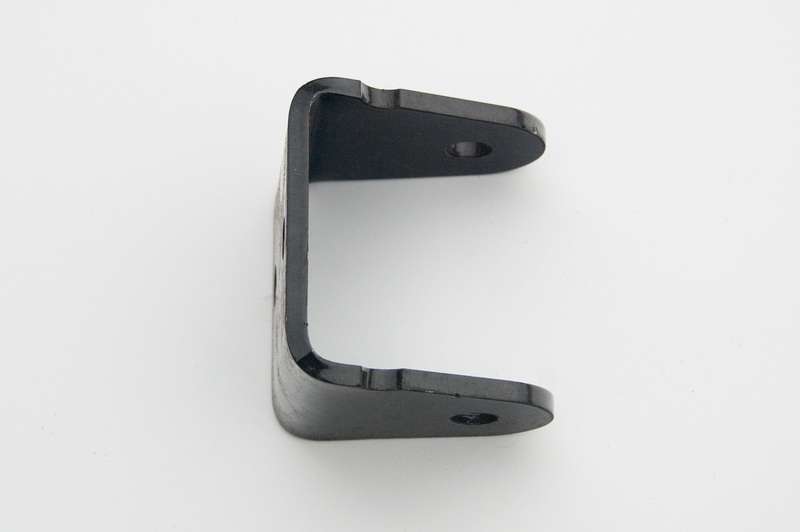 In this instance we are offering the trailing link bracket 141399, 141398 and 155502 trailing link brackets. We know our brackets are spot on for quality, fit and durability, which is similar to the original part. The detail of the part is as follows. There are 3 types of trailing arm brackets used on TR4A-IRS, 250, 5 and 6, they are identified with 1 notch, 2 notches and 3 notches. ﻿﻿﻿﻿﻿﻿ ﻿﻿﻿ The bracket arrangement was the same until part way through TR6 production when there was a rear coil spring change. The difference between the brackets is the relationship between the mounting holes to the chassis and the holes accommodating the trailing arm support bolt. 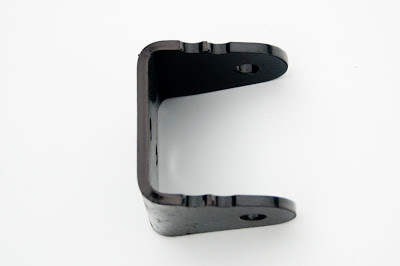 These holes are displaced up and down differently on each bracket and in production provided the correct camber when fitted in the relationship shown below. When setting the rear suspension start with the correct parts for your car then measure the camber. Fast road cars are likely to be set at 1.25 to 1.5 degrees negative. To change the camber the brackets can be mixed and matched, even turned upside down to get the correct setting. Bear in mind that the chassis may have been repaired and the mounting holes may not be exactly in the correct position. Check what brackets are fitted and order extras of the ones you don't have so that you can test various combinations. We cannot comment here on what the outcome will be as the choice of brackets will depend on individual chassis and spring combinations that you have. Whilst going through this exercise, the ride height from one side to the other will change. This can be corrected by using Superpro spring insulators SPF2327K or SPF2327-5K, which is a similar part but 5mm thicker. 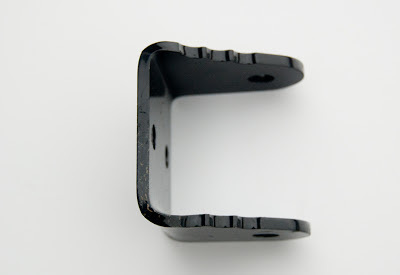 Note: - In the standard fitment (below) the notches are upper most.